Remote and wild, with thousands of access points, the Pacific Crest Trail is still remarkably accessible. Even by bus. Getting to and from the trail can be logistically complicated. We hope this page helps. 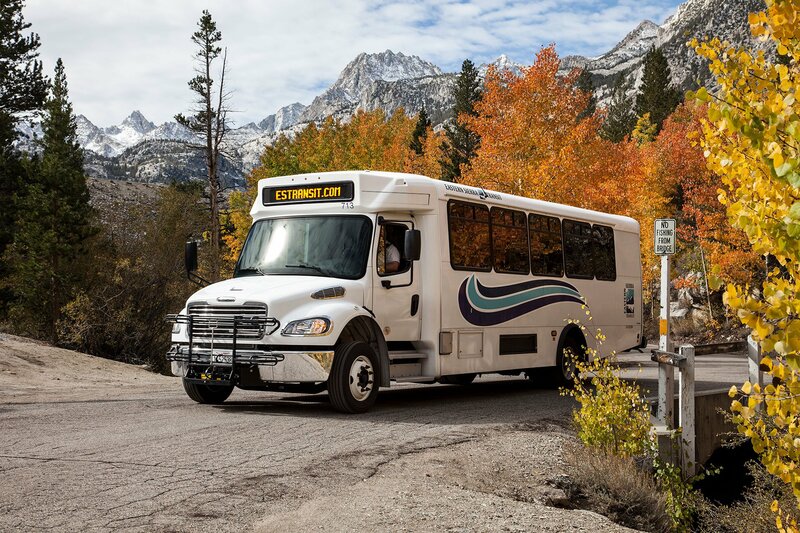 Eastern Sierra Transit is one of the outstanding rural transit systems that provide service to the Pacific Crest Trail. We appreciate them so much. Photo courtesy of Eastern Sierra Transit. Using a car is the easiest option. Having your own car (or a good friend to drive you!) is the most convenient way to access the PCT. If you are trying to access a trailhead on a major paved road, you can use google maps or another online mapping tool to find a route. If you’re trying to get to a trailhead farther into the backcountry or on a dirt road, it’s not necessarily so straightforward. If you’ve ever driven around lost looking for a trailhead, you know that they’re not always easy to find. Be sure to bring accurate and quality information. Dirt roads on public lands necessitate specific National Forest or BLM maps. Road names and numbers, conditions and closures change frequently. Contact the local land management agency or search online for the status of the road before you drive it. Remarkably, you can sometimes search Google Maps for Forest Service roads and their intersections with the PCT. While you can use the “Directions” feature to find driving directions to that intersection it’s imperative that you compare the results with paper maps and other sources. Don’t trust online mapping information in remote areas. Car-free transportation is environmentally friendly and a great option. While there are many PCT trailheads that are accessible by bus, most public transit can only take you as far as a town close to the trail. Some rural transit services are very small operations. They may only run a few days per week, require reservations, or have limited space. Sometimes towns near the trail can’t be reached by public transit. Google Maps’ transit directions are very helpful – many, but not all, transit agencies share their routes there. There are surely more taxi and shuttle companies than listed here. If you’re having trouble figuring out how to get to a particular part of the trail, you can always reach out to the community and ask for advice. Plan ahead and be prepared. Public transit can be challenging. We have put a lot of effort into this page for you, but you should do additional research. Be aware that cell service is often not available at trailheads. If you’re paying for transportation, ask the company for details about their licenses, insurance, and permits. Special use permits are required for operating a shuttle on public land. Do not assume that a listing here implies anything. Check with the local land management agency for lists of permitted shuttle providers in their area. These services may be available in many places along the trail. Amtrak is a nationwide train company and it also operates the Amtrak Thruway Bus Service. Most relevant stops: San Diego, Los Angeles, Palm Springs, Victorville, Lancaster, Mojave, Tehachapi, Bakersfield, Merced, Sacramento, Fresno, South Lake Tahoe, Carson City, Truckee, Soda Springs, Reno, Redding, Dunsmuir, Klamath Falls, Eugene, Portland, Vancouver (U.S.A.), Hood River, Bingen-White Salmon, Ellensburg, Seattle, Everett, Wenatchee, Vancouver (Canada). Greyhound is a nationwide bus company. Most relevant stops: San Diego, Riverside, Los Angeles, Bakersfield, Fresno, Sacramento, Reno, Redding, Weed, Eugene, Salem, Portland, Vancouver (U.S.A), Yakima, Tacoma, Seattle, Everett. We’ve got a whole page with directions to the Southern Terminus of the PCT. It explains how to take the bus, how to drive, and more. San Diego International Airport is the major airport closest to the PCT Southern Terminus. Palm Springs International Airport is a medium-sized airport that provides good access to the PCT via the Palm Springs Aerial Tramway or Interstate 10 near Whitewater, California. Ontario International Airport is a major airport near the cities of San Bernardino and Ontario, close to the PCT in the San Bernardino and Angeles national forests. Los Angeles International Airport is the largest airport on the west coast and is relatively close to most of the PCT in Southern California, especially the Angeles National Forest. It has a Metrolink station. Hollywood Burbank Airport, also known as Bob Hope Airport, in the Los Angeles area, is closer to the PCT than the Los Angeles International Airport. It has a Metrolink station. Meadows Field Airport in Bakersfield, CA, is less than 100 miles west of the PCT at Walker Pass. Kern Transit connects to the PCT and the city also has Amtrak and Greyhound stations. 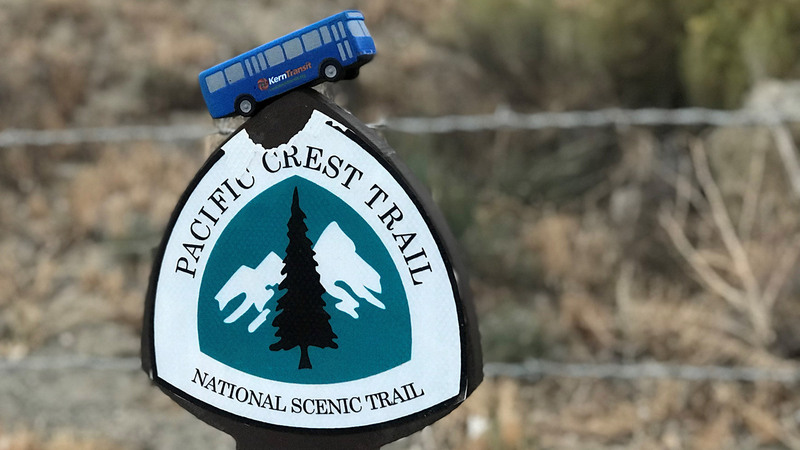 Kern Transit will take you right to the Pacific Crest Trail. How wonderful! Photo courtesy of Kern Transit. San Diego Metropolitan Transit System runs bus service from San Diego to Campo, Lake Morena, Julian, and the Stagecoach Trails RV Park. The schedule for their service to rural communities is here. The Forest Folk community shuttle bus runs within Idyllwild and also makes trips to Banning, Palm Springs, Palm Desert, San Jacinto, and Hemet to make regional connections. They have more information on connections here. Palm Springs Aerial Tramway travels between the desert floor in Palm Springs and the high elevations of Mount San Jacinto. Riverside Transit Agency serves Casino Morongo in Cabazon on Route 210 in addition to Riverside, Hemet, Beaumont and Moreno Valley. The City of Banning has local bus connections to Cabazon. Banning has a Greyhound and many more options. Pass Transit (another good link here) services Casino Morongo, Banning, Beaumont and the San Bernardino Transit Center with connections to Metrolink, Omnitrans and Mountain Transit. SunLine Transit Agency operates the Commuter Link 220, which stops at the Riverside Metrolink Station, Beaumont Walmart, Casino Morongo, Thousand Palms, and Palm Desert. OmniTrans is a major bus system that connects to transit hubs and Metrolink, the San Bernardino Transit Center and Ontario International Airport. 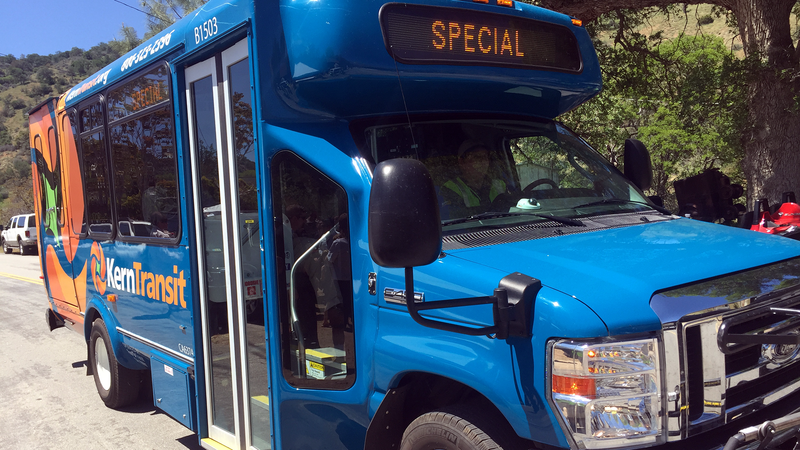 Mountain Transit provides service to Big Bear Lake, Big Bear City and Lake Arrowhead (access to Deep Creek area) between San Bernardino and Victorville. Victor Valley Transit operates bus 21W between Wrightwood and Victorville, which has connections to Metrolink and San Bernardino. It also reaches the Big Bear area via Mountain Transit from Victorville. The Acton & Agua Dulce Shuttle connects Acton and Agua Dulce with the Newhall Metrolink station. Metrolink is an essential part of Southern California’s transit network. Most transit systems on this list connect to Metrolink. Antelope Valley Line brings you to the Agua Dulce area, running from Los Angeles to Lancaster and Palmdale. There are Metrolink stations at LAX and Hollywood Burbank airports, amongst others. Other Metrolink lines can bring you toward the Whitewater region of the PCT and even to San Diego. Antelope Valley Transit Authority has commuter service that connects Los Angeles to Lancaster and Palmdale. Kern Transit has routes to Lancaster (Metrolink, Eastern Sierra Transit and others), Tehachapi, Mojave (Eastern Sierra Transit), Lake Isabella, Onyx, Ridgecrest (Eastern Sierra Transit in Inyokern), and Bakersfield (Greyhound and others.) Kern Transit stops at two PCT trailheads in the region: Cameron Canyon Road near Tehachapi (Route 100) and Walker Pass on Highway 178 (Route 227). Stand at the Kern Transit sign at PCT crossing and call 800-323-2396 to request the bus stop to pick you up. They are generally on the lookout as well. Take the bus to Walker Pass on the Pacific Crest Trail. Photo courtesy of Kern Transit. WTT Transportation is a San Diego-based shuttle service. Transit Van Shuttle-Riverside is a shuttle service in Banning, Hemet, and Palm Springs and includes transit to/from San Diego Airport or LAX. Big Bear Cab Company is a taxi service based in Big Bear Lake. Ride Cali is a taxi service based in Big Bear Lake. Most transit options between Walker Pass and South Lake Tahoe are on the east side of the Sierra. Fresno Yosemite International Airport is in Fresno, west of the Sierra Nevada. YARTS bus and VVR Shuttle stop at the airport. Mammoth Yosemite Airport is a small airport near Mammoth Lakes and Yosemite with year-round and seasonal (winter) flights to LAX and other locations. From the airport, take a taxi to town. Merced Regional Airport has flights to and from LAX and Oakland by Boutique Air. From Merced, you can take YARTS to Yosemite and beyond or travel to Fresno for connections to western Sierra trailheads. Reno International Airport is a major airport in Reno, Nevada, about an hour’s drive east of the PCT at Donner Pass, near Truckee and Lake Tahoe. It’s also a good option for getting to Lake Tahoe and the eastern and northern Sierra, and the southern Cascades. Eastern Sierra Transit stops at the airport. Sacramento International Airport is a major airport in Sacramento, less than a two-hour drive west of the PCT near Truckee and Lake Tahoe. Also provides access to northern and central California PCT. San Francisco International Airport is the largest airport in central or northern California, several hours drive west of Yosemite and South Lake Tahoe. BART station links you to Amtrak and Greyhound. Oakland International Airport is a major airport near San Francisco, several hours drive west of Yosemite and South Lake Tahoe. The airport has a BART station. Eastern Sierra Transit connects all the major towns on the east side of the Sierra to each other and Reno (airport and more), as well as to Lancaster (Metrolink and more). It also connects to YARTS. Local service in the Mammoth area connects to PCT-relevant trailheads in Reds Meadow Valley, Lakes Basin, and June Lake. 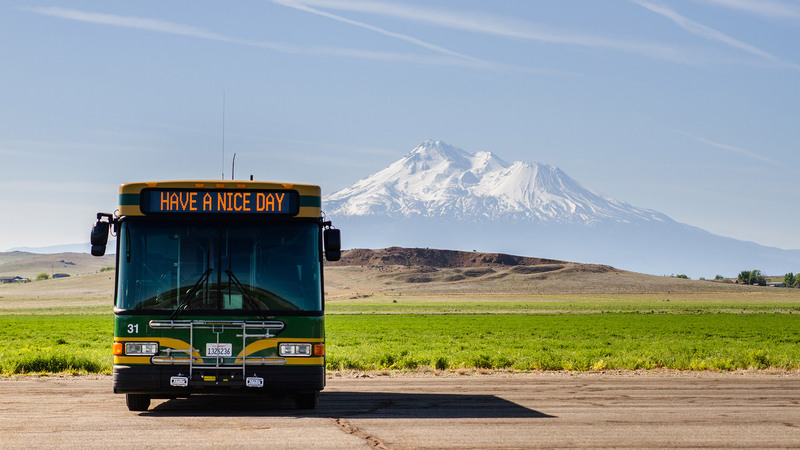 Yosemite Area Regional Transportation System (YARTS) connects Yosemite with east- and west-side towns including Sonora, Merced, Mammoth Lakes, Fresno, and Lee Vining. Possible connections include Sacramento, Fresno, Reno, Oakland, and San Francisco airports. Yosemite National Park has information on how to get around inside the park, including to the PCT at Tuolumne Meadows, and how to get there with public transportation. Sequoia Shuttle runs between Visalia (Amtrak, Greyhound and more) and Sequoia National Park. Note that it’s a long hike from these western Sierra trailheads to the PCT. Tahoe Transportation District connects Carson City (Eastern Sierra Transit) and Gardnerville (Eastern Sierra Transit) to South Lake Tahoe. Tahoe Truckee Area Regional Transit (TART) reaches Donner Lake, Truckee (Amtrak and Greyhound), Squaw Valley, Alpine Meadows, Tahoe City and other locations on the shore of Lake Tahoe. North Lake Tahoe Express connects the Reno airport to North Lake Tahoe locations including Truckee, Squaw Valley, Alpine Meadows, and Tahoe City. Vermillion Valley Resort Shuttle runs between Fresno and PCT trailheads at Edison Lake (Vermillion Valley Resort), Florence Lake (Muir Trail Ranch) and Mono Hot Springs. Sierra Shuttle Service provides shuttles between Horseshoe Meadows and Yosemite. East Side Sierra Shuttle provides shuttles anywhere in the Sierra Nevada. Mammoth Taxi goes as far south as Lone Pine. Mammoth Cabs services between Big Pine and Tuolumne Meadows. Mammoth All-Weather Shuttle operates throughout the Sierra. The Lone Pine Chamber of Commerce offers some trailhead shuttles. Yellow Cab Co. is a taxi company based in South Lake Tahoe. Tahoe Sierra Transportation provides airport and trailhead transportation in the Tahoe and Truckee area. High Sierra Taxi is based in Truckee. Reno International Airport is a major airport in Reno, Nevada, east of the PCT near Truckee and Lake Tahoe. Connections include Amtrak, Eastern Sierra Transit, TART, and Greyhound. Sacramento International Airport is a major airport in Sacramento, CA, west of the PCT near Truckee and Lake Tahoe. San Francisco International Airport is several hours drive west of Yosemite and South Lake Tahoe. It is the largest airport in central or northern California. Oakland International Airport is near San Francisco, several hours drive west of Yosemite and South Lake Tahoe. Redding Municipal Airport is small and offers flights to San Francisco. Located west of Lassen Volcanic National Park and south of Mount Shasta. Redding has RABA, SIRPT, Sage Stage, Amtrak, and Greyhound. Rogue Valley International Medford Airport is a mid-sized airport in Medford, Oregon, near the California/Oregon border. These rural transit companies are seriously wonderful. Take the bus! Photo courtesy of Siskiyou STAGE, run by Siskiyou County. Plumas Transit services the Chester and Quincy region. It connects to Lassen Rural Bus and Susanville Indian Rancheria Public Transportation (SIRPT). Lassen Rural Bus connects Chester to Susanville (SIRPT, Sage Stage). Susanville Indian Rancheria Public Transportation (SIRPT) (no full website) services Reno, Susanville, Chester, Red Bluff, and Redding. Redding Area Bus Authority (RABA)’s Burney Express runs between Redding and Burney. Sage Stage connects Reno, Susanville, Fall River, Burney, Redding and Klamath Falls. Siskiyou STAGE stops at Castle Crags State Park, the PCT trailhead at Soda Creek Road, Dunsmuir (Amtrak), Mount Shasta City, Weed (Greyhound), Yreka, Etna, and Seiad Valley. Burney Taxi (530-605-7950 – no website) is based in Burney. Mt Shasta Taxi is based in the Mount Shasta area and runs shuttles to the Redding and Medford airports. Rogue Valley International Medford Airport is a mid-sized airport in Medford, Oregon. RVTD services the airport. Eugene Airport is a mid-sized airport less than a two-hour drive west of the PCT near the Three Sisters and Mount Washington. Lane Transit District brings you towards the PCT. Redmond Municipal Airport is a mid-sized airport about an hour drive east of the PCT near Sisters and Bend, Oregon. Many ground transportation options are listed here. Portland International Airport is the largest airport in Oregon and less than an hour drive west of the PCT near the Washington border. Rogue Valley Transportation District (RVTD) connects Ashland and Medford, the regional transportation hub. Oregon Point is an intercity bus service. The Southwest Line connects Ashland to Medford and Klamath Falls. Crater Lake Trolley connects Crater lake to Klamath Falls (Amtrak). Central Oregon Breeze offers a bus service from Bend to Portland including Government Camp. Cascades East Transit offers a regional bus. Services Bend, Redmond, Sisters and Mount Bachelor (winter only). Lane Transit District bus 91 runs between Eugene and the McKenzie River Ranger Station. From there, it’s still a long way to the PCT. Various challenging options exist. The Mount Hood Express connects Sandy to Government Camp and Timberline Lodge. Sandy Area Metro connects the Mount Hood Express to Portland via Gresham. 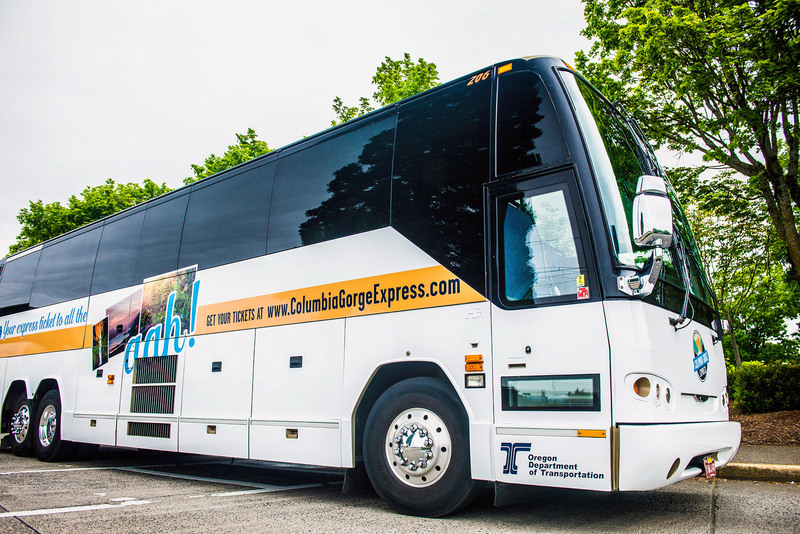 Columbia Gorge Express is a bus from Portland to Cascade Locks and Hood River. Hood River CAT has a line that runs between Portland, Cascade Locks and Hood River. Skamania County Transit operates the Gorge WET (West End Transit) bus between Vancouver and the Pacific Crest Trail at Stevenson, Washington, and Cascade Locks, Oregon (the Bridge of the Gods). Mount Adams Transportation Service runs between Bingen/White Salmon (Amtrak) and Hood River (Greyhound, CAT, Gorge Express). Call to see if rural service has space for other destinations. Cascade Shuttle is an Ashland area airport and local shuttle service. X Cab is a Bend-based outdoor recreation focused taxi. Mount Hood Teleporter services Bend, the Redmond airport, Sisters and Portland. We’ve got a whole page with directions to the Northern Terminus of the PCT. It explains how to take the bus, how to drive, and more. Seattle – Tacoma International Airport is the largest airport in Washington. It’s only about an hour drive west of the PCT at Snoqualmie Pass. Yakima Air Terminal is a small airport with flights to Seattle, located about an hour east of White Pass. Pangborn Memorial Airport is a small airport with flights to Seattle, located in Wenatchee about an hour and a half east of Stevens Pass. Bellingham International Airport is a small airport close to the Canadian border, less than a three-hour drive west of Rainy Pass. Lewis Mountain Highway Transit services Packwood, Randle, Centralia (Greyhound, Amtrak, Twin Transit). They do not have a website. Their Facebook page is here. Centralia College has info on the bus here. Phone: 360-496-5405 or 1-800-994-8899. Northwestern Trailways services much of eastern Washington and connects those communities to Seattle and Spokane. Their Apple Line is described below. The Spokane-Wenatchee-Seattle-Tacoma route includes an “on call” stop at the PCT at Stevens Pass. Link Transit operates in Chelan county and services Leavenworth, Wenatchee, and Chelan. Lady of the Lake is the ferry on Lake Chelan, connecting Stehekin, Holden Village and the town of Chelan. The North Cascades Lodge at Stehekin runs the Red Bus between Stehekin village to the PCT trailhead at High Bridge. Okanagan Transit services Pateros, Twisp, Winthrop, Okanogan, Omak and more. Apple Line services Omak, Pateros, Wenatchee, and Ellensburg. Skagit Transit has a line to Marblemount, west of the PCT on SR 20. Leavenworth Shuttle and Taxi offers a shuttle service to Snoqualmie and Stevens Pass. Central Washington Airporter runs between Yakima, Ellensburg, Cle Elum, North Bend, and Sea-Tac but it does not stop as it crosses Snoqualmie Pass. Chariot Destinations runs winter shuttles to Snoqualmie Pass, Stevens Pass, and Crystal Mountain. Classic Mountain Cabby services Wenatchee, Methow Valley, Pasayten Wilderness trailheads and public transit connections. Entering the U.S. from Canada via the Pacific Crest Trail is illegal. If you are planning on entering Canada via the PCT, you must obtain a Canada PCT Entry Permit. Vancouver International Airport is the second-busiest airport in Canada and a three-hour drive west of Manning Park. Abbotsford International Airport is a small airport less than two hours west of Manning Park. There is no public transit available from Manning Park. The closest town with public transit is Hope, B.C. Via Rail Canada has a train line from Hope to Vancouver once a day with a stop in Chilliwack. Manning Provincial Park maintains a list of resources for PCT hikers on its website. BC Transit oversees a number of small regional transit systems with buses from Hope to Agassiz to Chilliwack to Abbotsford where there is a local line that goes to within a couple hundred feet of the U.S. border crossing (or walk a mile from where the bus from Chilliwack stops). After crossing the U.S. border on foot into the town of Sumas, Washington, Whatcom Transportation Authority has a bus line to Bellingham, which has Greyhound and Amtrak connections in addition to the airport. Canadian Craft Charters has a shuttle service with a fixed rate for up to 14 people from Manning Park to Vancouver.